Talmadge is a smaller metropolitan neighborhood with approximately 1200 residences. It is surrounded on 3 sides by canyons. There are a large number of canyon view homes in the neighborhood, and all the homes opposite the canyons are on flat lots. The heart of the neighborhood are its residents. It is a very tight knit community made up of people of all ages. You'll see people frequently going for walks in the neighborhood, some with the children & pets on the winding streets surrounded by beautiful homes. The neighborhood is comprised of 1940's & 1950's homes and it offers great aesthetics including underground utilities, new street lamps, decorative wrought iron gates, and newly paved streets. 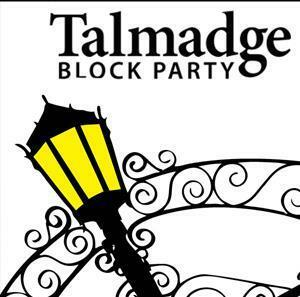 Talmadge is a great neighborhood and a quiet place to live. Talmadge was named after the Talmadge sisters (Norma, Natalie and Constance), who were silent film stars. In 1927 the Talmadge sisters helped open the Talmadge Park Real Estate Development, which contains streets named for each of the sisters. The architecture in Talmadge includes Spanish Revival, California Bungalows, and mid century style homes. Cliff May, a renowned South California architect, designed several homes in Talmadge. Talmadge is a sister neighborhood to Kensington with its fun filled streets lined with restaurants, wine bars and coffee shops. The 14th Annual Fall Block Party is held in October with the streets blocked off. There's fun for all with live music, activities for children, great food, art fair, and silent & live auctions. Participate in the 15th Annual Talmadge Spring Garage Sale sponsored by me. Join us for the 4th of July Parade gathering at the traffic circle. The traffic circle is also home to the Annual Christmas Caroling with hot chocolate, cookies & SANTA! My team and I can assist each seller with evaluating their home and educating them on how to get their home sold for the best price possible. We also assist each buyer with researching and locating available properties for sale. NANCY SLEAFORD, my buyer's agent, and I are familiar with the neighborhood and surrounding points of interest. We can help home buyers narrow down houses or condominiums by square footage, price range and other related specifics. 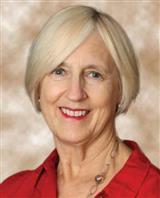 NANCY and I have both been specializing in selling Metro San Diego homes for over 29 years.